The map is a realistic, nearly cloudless satellite view of the continent at a resolution 10 times greater than ever before with images captured by the NASA-built Landsat 7 satellite. 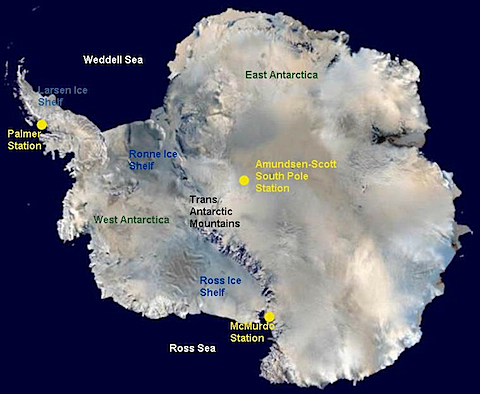 With the unprecedented ability to see features half the size of a basketball court, the mosaic offers the most geographically accurate, true-color, high-resolution views of Antarctica possible. You can play with the map at the USGS site, but the interface is rather clunky. However, there are hints that the new map will be available for Google Earth before long. Can’t wait….